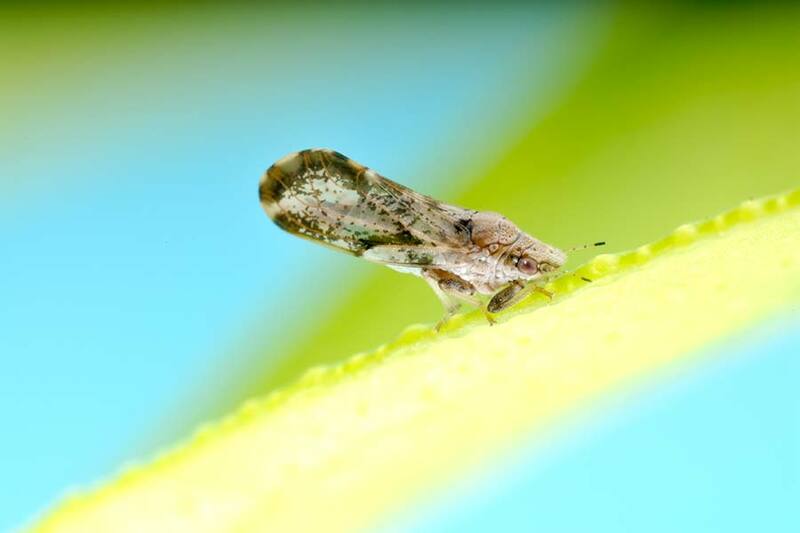 A tiny insect, the Asian citrus psyllid (ACP) is threatening citrus trees around the world, including orange, grapefruit, tangerine, kumquat, lime, lemon and other varieties of citrus. ACP has needle-sharp teeth that it uses to pierce plants and extract the juices. It prefers to feed and reproduce on the new leaf growth of citrus and closely related plant species. ACP damages new growth because it injects toxins into plant tissues while it feeds. This causes curling, distortion and blackening of young leaves. Insect populations increase during periods of active plant growth. The tiny adults look like aphids—measuring about ⅛inch—and characteristically feed with their tails end raised at a distinct 45 degree angle from the leaf. Their bodies are grayish-tan with brown markings and mottled brown wings. The extremely small nymphs are bright orange-yellow and exude a distinctive trail of white, waxy material. 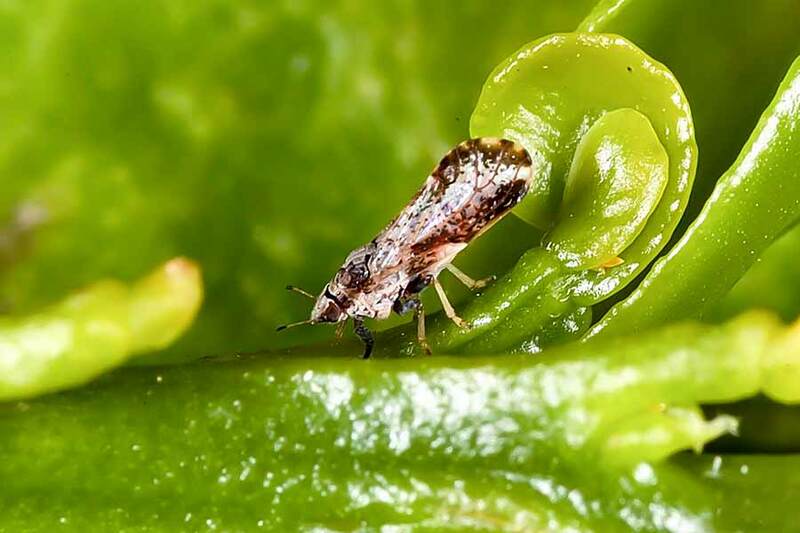 In addition to the damage it causes while feeding, ACP often carries and transmits a disease called citrus greening, also known as huanglongbing (HLB). Citrus greening or HLB is considered one of the most devastating diseases for citrus trees, and there is no known cure. ACPs do not always carry the disease, but the disease can only be spread by the insect or through contact with infected material. Symptoms of the disease include yellowing growth and uneven ripening, producing lopsided fruit with a bitter taste. It can take up to three years for HLB symptoms to be visible in a citrus tree. The disease can kill trees within three to five years. The disease has devastated commercial citrus industries around the world, causing billions of dollars in damage. In Florida alone, tens of thousands of acres of citrus trees have been removed. Whether in orchards or backyards, citrus greening threatens the very survival of citrus in the United States and around the world. Most states where citrus can be grown outdoors have quarantines for ACP and/or HLB. They include Alabama, Mississippi, Louisiana, Texas, Hawaii, Arizona, California, Florida, Georgia, South Carolina and Louisiana. For a map and more information on quarantines, visit saveourcitrus.org. The only way to prevent the spread of citrus greening is to control ACP. Since citrus trees are so popular and widely planted in gardens, homeowners are on the frontlines of this important battle. Know and follow quarantine rules in your state, especially when it comes to purchasing and moving citrus trees (including citrus relatives), fruit and plants parts. Do not move plants, fruit and plant parts out of your area and especially across state or international borders. Consume fruit on your property. Dry or double bag plant clippings prior to disposal. When grafting trees, only use registered budwood that comes with source documentation. Cooperate with officials who need to inspect or treat citrus trees in your yard or neighborhood. Become familiar with signs of ACP and citrus greening. 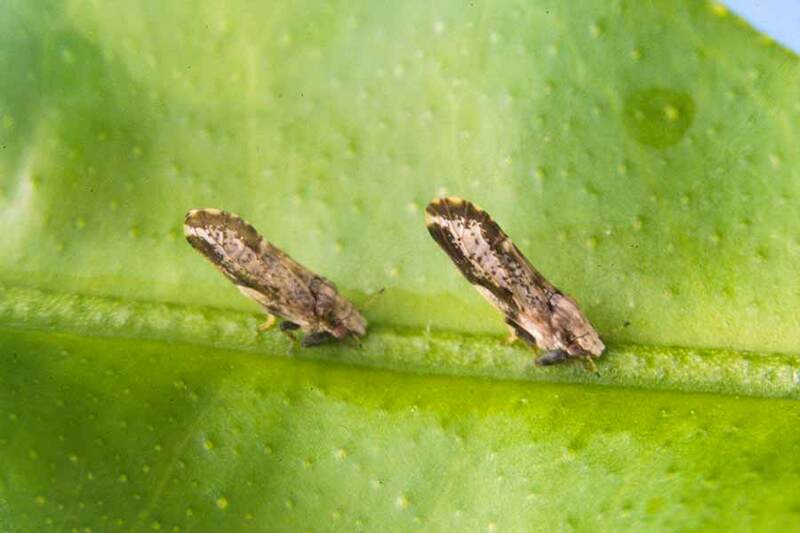 Inspect your citrus trees monthly and report suspected psyllids or symptoms of citrus greening to proper authorities. Collect samples of any suspected ACP damage. Seal the sample in a plastic bag and call your county agricultural commissioner. If you live in California, call the California Department of Food and Agriculture Pest Hotline at 800-491-1899. In Florida, call the Division of Plant Industry at 800-282-5153. For more information about possible preventative measures and potential treatments, please contact your local extension service, certified arborist or professional nursery. Saveourcitrus.org can provide a wealth of information on ACP and citrus greening as well as other insects and diseases that threaten citrus. It will direct you to local information about quarantines and who to contact if you suspect ACP or citrus greening. Californiacitrusthreat.org is another valuable resource on all things ACP and citrus greening.